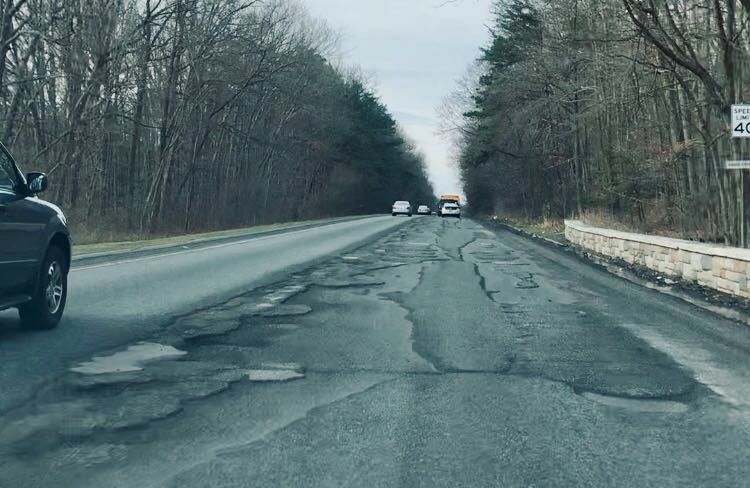 As commuters complain about potholes, the National Park Service believes it has less than half the money it would need to fix key routes like the George Washington Parkway, Baltimore-Washington Parkway and Rock Creek Parkway. With current funding, roads and some trails would continue to crumble due to continually deferred maintenance, with a goal of keeping the highest priority paved roads just above poor condition. The annual funding gap between 2016 and 2021 is about $50 million. The numbers do not include the ongoing Arlington Memorial Bridge repairs. The Park Service does aim to eventually repair and rebuild many of the region’s parkways, but that could cost $19 million per year for 20 years. The Baltimore-Washington Parkway, Suitland Parkway, George Washington Parkway, Rock Creek and Potomac Parkway and Clara Barton Parkway are regularly backed up — with traffic more common than tourists. “Current road conditions, especially on roads like the Baltimore-Washington Parkway, are not the best. We’re doing everything that we can to improve those,” National Park Service spokesman Jonathan Shafer said. Maryland Sen. Chris Van Hollen wrote National Park Service acting director Dan Smith on Friday calling for faster fixes for the “unacceptable” conditions on the BW Parkway. The Park Service plans a full reconstruction starting in late summer on the pothole pocked stretch where they have lowered the speed limit. Renewal and recurring maintenance is chronically underfunded, and the 20-year plan acknowledges climate change threatens the need for more frequent repairs. Earlier in the week, Virginia Sen. Mark Warner said the $11.9 billion nationwide backlog of National Park Service maintenance for roads and other needs shows the need for a nationwide solution. In Virginia alone, there is an estimated $1.1 billion backlog, including $293 million for the George Washington Parkway (an increase of $60 million over the previous year), $212 million for the Blue Ridge Parkway, $88 million in Shenandoah National Park, $34 million for Wolf Trap, and $24 million at Prince William Forest Park. Warner supports a bill that would take money from energy development and allocate it to parks maintenance. The Park Service plan for the National Capital Region suggests better partnerships with local, state and federal agencies and even with private organizations that could help get at least some projects moving. “The National Capital Region has limited authority for innovative financing options (e.g., tolling, bonding), and generally is not eligible to be the recipient of federal and state grants that other state transportation agencies have access to,” the plan said. Since about half of the nationwide maintenance backlog is tied to roadways, an analysis commissioned from AECOM consultants for The Pew Charitable Trusts in December that was published earlier this month concluded the National Park Service may want to consider tolls to pay for fixes. The study’s rough estimates suggest tolls of 4 to 16 cents per mile could net the Park Service millions of dollars on the GW Parkway ($2.5 million to $14 million), BW Parkway ($15.9 million to $73.8 million), and Suitland Parkway ($1 million to $8 million). The Blue Ridge Parkway and Rock Creek Parkway appear less likely to be worthwhile, the consultants concluded, due to problems limiting access and building tolling infrastructure over the long Blue Ridge Parkway and the high likelihood of people simply taking other D.C. roads in place of a tolled Rock Creek Parkway. The Blue Ridge Parkway might be able to make money on a flat rate toll of $1 to $3 though, the consultants found. “Given heavy existing traffic volumes, the Baltimore-Washington Parkway is the leading candidate in terms of revenue potential, followed by the George Washington Parkway and Suitland Parkway,” the report said. The key is that many people who take the BW Parkway and GW Parkway do not have many other good alternatives. Maryland Gov. Larry Hogan has already suggested tolls along the Baltimore-Washington Parkway, and the Trump administration has agreed to discuss the issue, but those plans are intended to focus on widening the parkway with additional toll lanes rather than tolling the current lanes. The report urges the Park Service to ask for royalties on any tolls if the parkway is transferred from federal to state control. “This study was not intended as a policy recommendation but was conducted to determine whether tolling would be a way to help fund park repairs. Preliminary findings show that, under certain circumstances, it could provide a viable option,” a statement released by Pew along with the report said. With tolls, the Park Service could generate enough money to fix the backlog of repairs on the GW Parkway, BW Parkway and Suitland Parkway within 15 years, the report concluded.